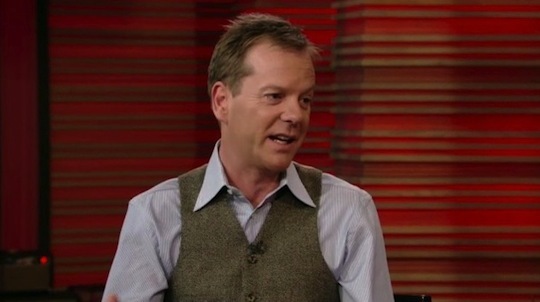 Kiefer Sutherland is interviewed on Live With Regis and Kelly. 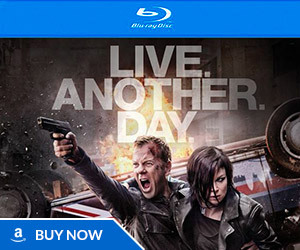 Includes a hilarious quiz portion where they ask Kiefer a whole bunch of questions about the show, and he gets most of them wrong! 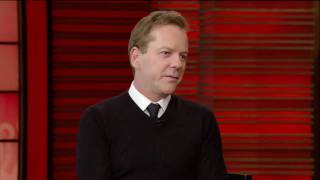 Kiefer mentions the 24 movie (hopes to shoot in January, Tony Scott is interested in directing), his upcoming internet series The Confession (late March premiere, possibly releasing three episodes at a time), and his Broadway play That Champsionship Season. Haha, that was funny… most of the ones that he got wrong are really difficult. But how can he not know that Tony wasn’t in season 6 and Aaron Pierce was? Maybe Jack didn’t share some scenes with Aaron and that’s why he doesn’t remember them. [..YouTube..] @JerichoDeltaY2J Haha me too. [..YouTube..] Lol, incredible how little he knows, I can’t believe he tried to say Tony appeared in every season!!!!!!!!! [..YouTube..] Haha, I love this. I NEVER knew that he had a bachelors in literature and masters in criminology! [..YouTube..] I knew all of them apart from that final one, where did they get that from? 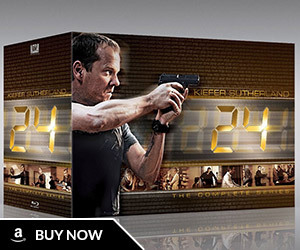 [..YouTube..] The biographies used to be on the official 24 website. [..YouTube..] I’d ask when’s the last time he had a cup of coffee on camera? [..YouTube..] LOL xD he don’t know the name of his brother? lol so great!! [..YouTube..] I think the Tony reason was because initally there plan to end season 6 was with Tony showing up. I think that would have been cool but they stil did it well in season 7. Anyways, Kiefer was pretty good and do you really think that he will remember everything about the show? I mean he said he doesn’t watch it and I think it is pretty impressive that he remembered the real actors names. Aaron Pierce was a tough one and he even remembered the scene in season 2. Anyways Kiefer is badass. [..YouTube..] @ashurtzvideos Chloe first started in Season 3. 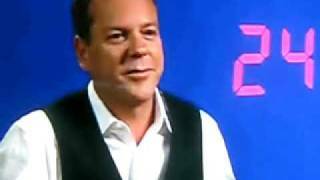 [..YouTube..] Actually Kiefer was kinda right on the second question. If you can remember, someone (Tony for sure) was meant to show up at the end of Season 6 in a car, but the script got leaked so the writers changed the ending of Jack looking over an ocean. That’s why Kiefer said he would argue it. That’s my guess anyway. [..YouTube..] how does he not know jack about jack? the questions were so easy. [..YouTube..] @CanadianForth To be fair they said “Which plane was stolen and shot down” and Air Force 1 wasn’t stolen, so they screwed up the question. [..YouTube..] I’ve been watching loads of 24 recently and could answer all of these questions except for the last one! [..YouTube..] DUDEE i was yelling at him saying AIR FORCE ONE!!!!!!!!!!! COMON KIEFER!!!!!!! [..YouTube..] KIEFER!!! 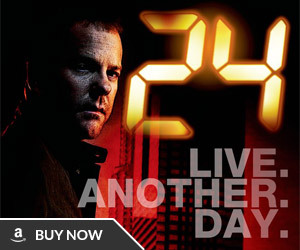 I’m so ashamed you thought Carlos was in every season of 24!!! Shame on you! [..YouTube..] Chek the Girl at 2:20.. She get JACK Joke Very late..